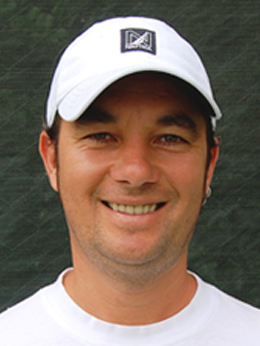 Vuk Zelunka is a PTR Professional and ITF Development certified coach. Vuk graduated from university in Croatia with a degree in Sports and Coaching Education. From 2000 – 2003, Vuk coached and traveled with Croatia’s top ranked juniors competing on the European Under 14 Circuit. In 2004, Vuk was recruited by Seeburg Tennis Club in Germany to shape up their junior development program. He successfully helped the club achieved better results in team and individual competitions. Prior joining HKITA, Vuk was the head coach of South China Athletic Association and a senior coach for the Hong Kong Tennis Association Talent Group and National Training Squad. During his tenure with the HKTA, Vuk worked closely with Hong Kong’s Junior Fed Cup team that qualified for the World Finals. 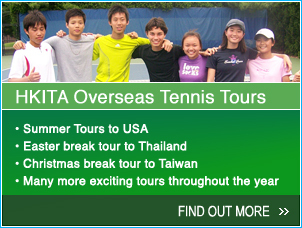 Vuk was also named Hong Kong team coach for World Junior Tennis team 2005 (Boys and Girls team). Vuk was a finalist of the Croatian National Junior Circuit Under 18 event. He also played for various tennis clubs in Europe, including for Borovo and Novi Pazar Tennis Clubs. On his last years of playing professional tennis, Vuk reached the Round of 16 of Serbian National Championship. Vuk assisted Benny Lin (who is one of the keynote speakers) with his presentation on Under 14 Training and Development at the 2006 ITF Regional Coaches Conference. Vuk also attended numerous coaches workshops held by world renowned coaches, such as Suresh Menon, David Porter, Peter Burwash and Pat Cash.